Do you have family or friends who live far away and love wine? Or, are you hosting dinner at your house this holiday season? 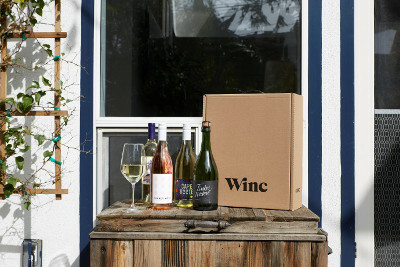 If you answered "Yes" to either question, then you will want to know about Winc, a monthly wine subscription service, that not only offers a wonderful assortment of wines for every palate preference, but that is also reasonable and will not break the bank this holiday shopping season. I recently had the opportunity to try out Winc Wine for the first time a couple of weeks and was very impressed with the whole experience. You start by taking a Palate Profile quiz to find the perfect wine for you, then you register for an account. Within a matter of minutes, you will be presented with recommended wines based on your Palate Profile quiz results, and a price you will not believe (bottles start at only $13 each). Are you the type of person who goes to the liquor store and is lost when it comes to choosing the perfect wine? Maybe you want to pair a nice wine with dinner, or just want to try something new? Where do you start? I, for one, am amazed at all the different varieties available. There have been times I will simply choose a wine bottle because I like the label, or because it is from a local vineyard. See, it doesn't take a lot to impress me. But, if I knew what to look for, or was given recommendations based on my palate preferences, it would make shopping for wine so much easier. That is why I am in love with Winc Wine, as it takes the guess work out of choosing just the right wine. And, with the holidays fast approaching I have family and friends on my shopping list that enjoy a good bottle of wine, and would love to be surprised with 4 bottles of wine at their door to enjoy at the holidays and as they welcome in 2018. All you have to do is send them a Winc Gift Card you can purchase through the Winc website, and then leave it to them to take the quiz and place their order using their Winc Gift card. It will be one gift card they will be excited to use, and be thanking you for for years to come. "Winc is not your traditional wine club: They are a direct-distribution global wine company that personalizes the entire wine experience - They are perfecting how wine is made, distributed, perceived and purchased via our Palate Profile quiz that recommends wine based on your unique tastes and enjoyed on behalf of a new generation of wine drinkers. It takes the hassle and guesswork out of picking a bottle from your local liquor store and delivers the perfect bottle directly to your doorstep. They do all this as part of our quest to improve the experience for consumers, create a platform for artisanal winemaking, and build a grape-to-glass supply chain that's sustainable for the planet. No more intimidating language and steep price points, and more joy in the act of sharing a bottle." Like I said, I was sent 4 bottles of wine, all from different vineyards, and had a blast sampling them with my husband. It was amazing how we enjoyed each and every bottle, which is never the case when I am left to pick up a few bottles of wine at the store. And, when I told my husband around this monthly mail delivery service, he couldn't get over the price. He was quick to ask if we knew what I was getting with our next shipment, and if we could reorder a couple of the bottles we sampled in this month's shipment. I told him that you can reorder bottles, choose bottles that catch your eye, or use their recommended bottles based on your quiz results. So, if you are a wine lover, or know someone who is, why not sign up for a month of Winc Wine today! You can cancel anytime, so you don't have to feel locked in. And, right now just for Inspired by Savannah readers, you can save $22 off your first month of Winc Wine. How great is that! What are you waiting for? Head on over to Winc Wine and take their palate profile quiz today and be on the lookout for your first month's Winc wine shipment, which will contain 4 bottles of wine hand-picked just for you. Enjoy! I have a great offer to share with you. 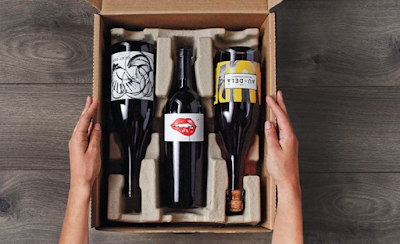 How does saving $22 Off Your First Month of Winc Wine sound? Well, that is just what Inspired by Savannah readers will get when they head on over to www.trywinc.com/usfamilyguide and create an account and take the quiz. 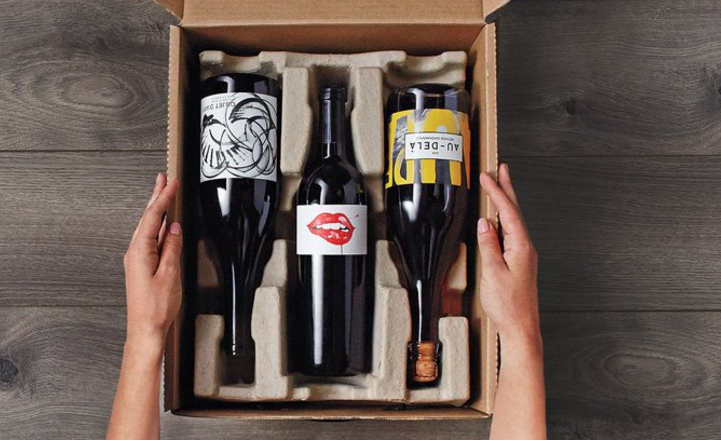 Within a matter of minutes you will have 4 bottles of wine recommended for you, based on your quiz results, and $22 will be taken off at checkout for your first 4-bottle Winc Wine shipment. It is that easy! Act fast, though, as this special savings is only available for a limited time.